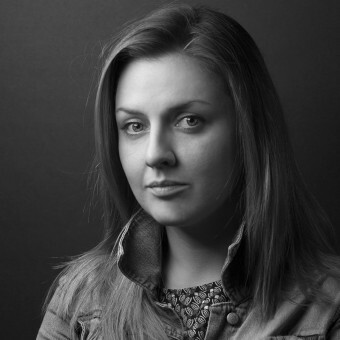 Editor Frank Scott (FS) from DesignPRWire has interviewed designer Evgeniya Matsukevich (EM) for A’ Design Award and Competition. You can access the full profile of Evgeniya Matsukevich by clicking here. EM: It is not such a simple question. I know one is that as a child I preffered Lego to dolls. It might be an inner passion to create, which accompanies me all my life. EM: "ApparelJewelry" became one of projects of Matsukevich Evgeniya. It is a part of "ApparelHouse" which also creates designs of the furniture and lighting. Main creator and inspirer is Matsukevich Evgeniya. She graduated from the Stroganov Moscow State University of Art and Industry, department of Industrial design. Evgeniya engages the different areas of design activity as print design, ilustration and product. When many ideas had accumulated appeared the new direction - Jewelry. As a product-designer Matsukevich Evgeniya was honored some awards, shortlisted, printed and took part in the exhibition SaloneSatellite in Moscow. EM: Design for me is the main part of my life. EM: I like to create simple and everyday usage objects. Lighting, furniture, jewelry. In my plans is to design the mass products. Something that anybody has, something that is like the air we breathe, but don't notice. This objects would be comfortable and harmonic , and people would use it in everyday life with pleasure. EM: I like all that I do. EM: Every material could be interesting for creation. Main how it will be use. EM: I feel most creative mood when I am going to asleep or in the early morning. EM: I always focus on the combination of aesthetic and ergonomic aspects of the object. EM: I feel diffrent emotions but they are positive in any case. EM: Of course I am proud of myself and command. EM: There is a combination of many moments as the emotion which the object gives to his owner, as customers loyalty, as a good construction, as a good or bad PR, quality of materials, etc. EM: Exterior view /material, idea/ >> ergonomic >> technology >> details. EM: We will see it soon. EM: Last exhibition was the Salone Satellite in Moscow, now I am preparing for the MIFS/DesignVillage/Moscow in May. EM: I live in Moscow and I think person from outside will answer next question better than I answer myself. EM: Good design is the minimum of design. EM: I like to create ideas, drawing sketches, create 3D models, choose the materials. EM: I reprsent myself now. Press Members: Register and login to request a custom interview with Evgeniya Matsukevich.